Tyler Mahle had it all working. The Reds offense had it all, uh, not working. For the second straight day, the Reds were shut out and wasted a gem from their starting pitcher. The offense hasn’t scored a run since the eighth inning of Tuesday’s game against the Brewers when Eugenio Suarez hit a solo home run. Are we having fun yet? Once again, there’s very little to talk about in this department. The offense scrounged together only three hits against Pirates starter Jordan Lyles, who has bounced around from team to team for many years as a No. 5 starter. To their credit, the Reds made some solid contact and got little to show for it. The team hit 10 total balls of at least 95 mph. Only four of them fell for a hit. 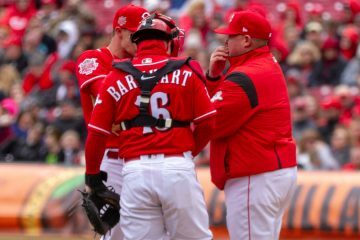 Tucker Barnhart was the only Reds hitter with multiple hits, picking up a 104-mph double and a single. The only real threat the Reds posed was in the ninth, and it only started due to a wild pitch on a third strike to Matt Kemp. Jose Iglesias followed with a double on a misplay by right fielder Pablo Reyes, but Pirates closer Felipe Vazquez fanned pinch hitters Curt Casali and Kyle Farmer to end it. If there are any positives, Jesse Winker and Scott Schebler both broke their hitless streaks to start the season. Winker’s 0-for-15 skid ended in the fifth inning with a ground-ball single up the middle. Schebler snapped his 0-for-18 funk with a double in the sixth. The good news is the starting pitching continues to impress. Tyler Mahle had it all working in his 2019 debut. He got through the first inning in six pitches, all strikes, which set the tone for the game. Painting the corners with his fastball and mixing in his revamped slider and changeup/splitter to keep hitters off balance, Mahle pumped strikes all night long. 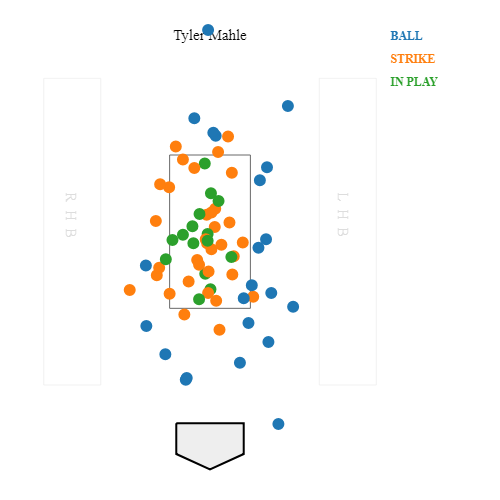 Of his 78 pitches, 53 were thrown for strikes and those that missed the zone were right on the periphery. Most notably, he didn’t walk a batter — the first Reds starter to accomplish that feat this season — in his six innings. While he didn’t miss a ton of bats (6) as he leaned heavily on his fastball, he still struck out five batters. Mahle allowed only five hits on the night as the Pirates barely threatened against him. The most trouble he got in was in the fourth inning. Mahle gave up a one-out single to Josh Bell and a two-out single to Melky Cabrera. Winker, the left fielder, threw a perfect strike to the cutoff man, Jose Iglesias, who fired the ball to second base for the third out as he caught Cabrera trying to take an extra base. 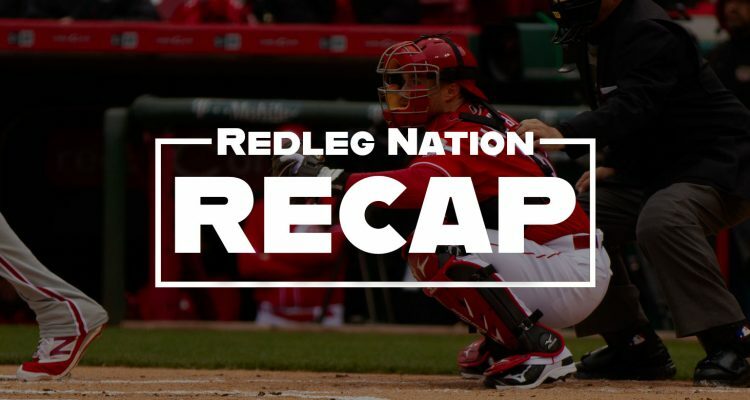 In desperate need of offense, David Bell sent Derek Dietrich to the plate as a pinch hitter in the seventh inning, ending Mahle’s night despite a low pitch count. David Hernandez was the first man out of the bullpen. He allowed a pair of singles, one of them a weak grounder that snuck through the infield on a hit-and-run play, to put runners on the corners with one out. The first run of the game came home on a fielder’s choice. It was the only one the Pirates needed. Wandy Peralta came in to get the last out of the seventh and the first of the eighth. Michael Lorenzen was next in line and fell victim to some tough luck. He gave up a pair of weakly hit singles to Starling Marte and Francisco Cervelli followed by an RBI single to Josh Bell with the infield drawn in. It was good to see Schebler get off the schneid after taking a lot of grief on social media for his rough start. He does, however, need to start laying off fastballs high and out of the zone or pitchers are going to keep throwing him there. Yasiel Puig came ever so close to hitting his first home run as a Red in the third inning, but Marte made a leaping catch against the center field wall for a 400-foot out. As bad as the offense has been through six games, the complete opposite is true for the pitchers. 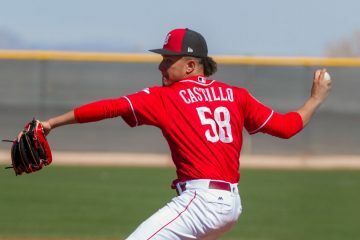 Over the last three games, the combination of Anthony DeSclafani, Luis Castillo, and Mahle has allowed only two runs and nine hits in 18 innings. Reds starters now have a 2.34 ERA through six games. Nobody would’ve guessed the team would be 1-5 with that kind of performance from the rotation. The Reds' starting outfielders have gone a combined 6-for-65 (.092) so far this season. That is the worst average by any starting outfield through six games of a season in the live-ball era (since 1920). Paging Nick Senzel and Scooter Gennett: Get healthy soon. Cincinnati and Pittsburgh will meet for game two of the four-game series on Friday evening at the same start time of 7:05 p.m. Sonny Gray (6.75 ERA, 9.15 xFIP; 4.90 ERA, 4.10 xFIP in 2018) will look to bounce back after a rough first outing, while Joe Musgrove will make his first start of the year. Musgrove (0.00 ERA, 1.93 xFIP; 4.06 ERA, 3.92 xFIP in 2018) appeared in relief against the Reds on Sunday after getting skipped in the rotation following the rainout on Saturday. Will the bats wake up? This is really frustrating. The pitchers the Reds are facing aren’t very good. It seems like we’ve been down this road before re: not producing vs mediocre pitching, but now the Reds good pitching is completely wasted. I’ll just keep reminding myself that it’s early, and the offense has to wake up at some point soon. Kyle Farmer is wasting bench space. 6 man rotation upon Alex Wood return?? I hope Gennett, Senzel and Ervin will join the team soon. Very tough situation with Kemp, once Senzel is up he should be the odd man out. Gennett is likely two months away. A groin pull is one of those weird injuries that is tough to recover from. Senzel is still a week or more from even showing up at AAA. Ervin should have been on the 25 man roster, but for some reason, the Reds management just doesn’t like him. This team is gonna bust out someday, but we don’t have a clue as to when that will be. The Great Votto will show up sooner or later. Won’t he? And I wonder if Winker’s shoulder is really ok. It is probably not a popular thing to say given Winker and the team seems to think he is OK but I think it is reasonable to wonder about his shoulder and the day in and out wear until/ unless he starts stinging the ball as we’ve seen him do in the past. I thought Bell was high on Winker and saying at the end of spring training he was going to get his ABs…but he’s replaced him a number of times in the latter innings. That doesn’t sound like much confidence in him. I agree that Winker might have at least worked a walk from Vazquez…might have even left Lorenzen bat for himself instead of Casali…Lorenzen could have watched 4 pitches down the middle just as well. Is it possible we put the blame on Price last year prematurely? Appears the blame for the losing trend has another cause. Reds have a SUPERIOR hitting coach and still zero results. Can’t blame the fans for leaving in droves. Solution could be they need to send the starting 8 down to AAA and bring the rookies to the Majors. They can’t do any worse. 3 shutouts, bring shut out, in the first 6 games. The Reds are putting up more zeroes than the Japanese navy put up over Pearl Harbor. Shake up the lineup tomorrow. Against another RHP go with Schebler, Puig, Votto, Suarez, Winker, Dietrich, Peraza, Barnhart. Agreed. I coached little league baseball and men’s softball. And sometimes when a team just couldn’t string together any hits you just got to shake up the lineup. Sometimes even to the absurd, a lineup that you would never use day in day out just so you don’t feel like here we go again. The decision to have Kyle Farmer pinch hit for Winker feels wrong, both for short-term and long-term reasons. Short-term: Winker had a hit tonight and he feels far more likely than Farmer to draw a walk, platoon disadvantage or not. The inning had to be kept alive, especially with Votto due up next. Long-term: Winker almost has to be a cornerstone, for the Reds to have a contention window in a couple of years’ time. Thus, he needs to be in key situations like tonight. Don’t even have to explain it. Kyle Farmer should not be pinch-hitting for anyone. He should be in AAA. Trade him out for Ervin. Yeah, But also a single ties it; and this team needs a win in the worst way. Bell must have thought Farmer was a better risk than Winker in the situation, maybe even Votto the way Vazquez was throwing. However after the way he turned Casali every which way but loose, perhaps things should have been rethought because Casali turned around a pretty good leftie in similar circumstance a couple of nights ago. Casali got four slider/change ups that ended up right down the middle of the plate. Yes they are sliders…yes you might be expecting 98 MPH fastballs from Vazquez…but still?! He only swung at one of them. Right. They were right down the middle. Take the bat off your shoulder and try to get it on the ball. Especially with two strikes. Any further info on the Winker thing. Didn’t get to watch the whole game, but PH Farmer for him in the ninth stood out. I like Winkers chances to at least draw a walk there and bring Joey to the plate over Farmer’s chances. I am a colts fan, and so far this reminds of their 2018 season. The first couple of games, they let get away and they too started 1-5. They made it to the second round of the playoffs. There is too much talent on this team to remain so poor. It’s a young season. How many times has the reds started great, to finish with a losing record? I’m not optimistic, because Cincinnati sports have given me no reason to be so, but as a realist this team is much better than the way they are playing. Time will show. Let Lorenzen start a game in CF and bat 6th or something? What difference does it make? On a good note…all the under 30 pitchers look pretty good except for Sonny and he’ll be ok. I think Kenny Smith’s analysis of this reds team was spot on. we have a bunch of looters on this team. players that put up good numbers in chaotic situations, like being down 10-0, but in the clutch, they lay an egg. Thank you for the explanation. I don’t necessarily know about this “bunch” but, it can really skew the analytics. I’ve always wondered about Votto’s splits between the first two months of the season versus the rest of the season. Seems to me, without researching the data, that his starts are always slow, then he hits like gangbusters after the Reds are out of contention. Hitting .400 in the second half of a season is spectacular, but not very useful for a team that is already 20 games behind on the ‘strength’ of hitting .220 during the first couple of months. They’ve been playing games since February and have won all of 9 games. This start shouldn’t be a surprise to anyone. Without the very rare pinch hit game winning homerun and rainout this team would be 0-7. Yeah, I think that is true. Despite all the optimism about how much better the Reds would be in 2019, this is, quite frankly, not a very good team. I don’t think they are going to get much better. Sure, at some point, they will play well for a stretch. Another 90 loss season is looming. And sure, you can call me a Debbie Downer. Because I am. But I think in 3-4 weeks, when the Reds are buried in last place, 15 games behind the Brewers, then this might be more widely accepted. The Reds will lose 3 out of 4 to the Bucs this weekend. So you’re predicitng a win? I’m not sure why. At least the Cubs are 1-5 too. Schebler “needs to start laying off fastballs high and out of the zone or pitchers are going to keep throwing him there”. He’s never laid off high fastballs. No reason to think he’ll start now. Even Chris Welsh said: would you throw anything other than a high fastball here. Swing and miss. I’ll choose to focus on the positives for now. Yes, the 1-5 start has been terribly frustrating. But the pitching really has been good. Last season, through 6 games they had given up 40 runs. This season through 6 games, 19 runs. So at least it’s not exactly the same story as last year. They have been in all of these games. With that said, they really need to string together a few W’s soon, or I fear they won’t be able to catch up in a really tough division. I’m encouraged by the starting pitching which is the foundation for a winning team. I agree with comments that Bell should shakeup the offense in whatever way to get it started. Somebody has to step forward offensively and be the leader. Hopefully the Reds won’t fall 10 -15 games back because that’s a tough rut to escape. Disappointed, but not panicking. Most of us didn’t expect winning the division, but don’t think they’re going to end in the basement either. Baseball is a long, long, season. Gotta handle the swings. There’s gonna be an 8 game winning streak soon enough, and we’ll all be wondering “where was this team at the start of the season?” Or maybe they play over .500 from June-Sept. And funnily enough, all of the players who “don’t care and can’t hit when it counts, etc” will be a part of that winning. But it certainly isn’t fun to watch/listen to in the moment, is it? Things will get better, for me, if the Reds do not have another last place finish. I don’t listen to the commentary since I know the situation. I just watch the game as a great ballet that baseball and all sports are which are played by very athletic people. I’ve been a Reds fan too long to get too upset by the current offensive funk. Anyone else catch Matt Kemp talking to Cervelli when he came up for his PH AB, and he said “I don’t know I just work here”? I don’t know the context of what he was responding to, but it came across pretty clearly on my tv. It’s probably two guys just joking back and forth, but still has me wondering what would elicit that response. Whenever I say that phrase at work it means I’m pretty frustrated with the decision making of those higher up, but also sometimes just in response to a crazy/crappy situation. Mahle was fully in control and pitched really well. I was starting to sweat the 6th inning as they Pirates starting hitting the ball really hard against him the third time through the order. It’s good to see him get off to a good start though. All three pitchers returning to the rotation have pitched very well to start the season. The Reds offense is in an abysmal funk right now. It’s hard to watch. Schebler probably needs an off day more than anyone. But who plays CF? Winker? Yikes. The bottom of the order is holding it’s own as Barnhart, Peraza, and Iglesias are hitting the ball pretty well at this point. Hoping the top and middle of the order pick it up soon. I agree some shake up needs to happen. I love the flexibility of thinking with using Lorenzen in so many different ways, but he’s not looked good on the mound his last couple of appearances. If this trend continues the questions on how split Lorenzen’s focus is will start to pop up. I think Puig would take CF. Winker RF, Kemp LF. Which is “ok” if you aren’t worried about losing 1-0 on a double that gets through two slow corner OF’s. Right now, there’s reason to be worried about that. I would think so too, except Bell said something toward the end of ST about wanting to keep Puig in RF and that’s why Winker took some innings in CF at the end of ST. It all just kind of makes me want Phillip Ervin on the roster instead of Farmer. While Lorenzen has looked shaky in a couple earlier outings, it is unfair to say that he looked bad last night: the three hits against him would all be outs most of the time. If he throws that exact same way next time out, he probably retires each batter. That’s fair. It was a hard luck inning for sure. The RBI single was hit pretty hard it seemed, but against a drawn in infield that ball is going through more often than not. I’m still not sure what Iglesias was doing on that ball hit up the middle on the SS side of the bag. Peraza made an attempt as he was covering the bag, but it didn’t appear that Iglesias made any attempt on the ball that was hit to his side of the bag. Maybe he was just too far in the hole, or thought Peraza had it. Either way, it looked like something he could have gotten to the way it bounced a bunch of times. If Mahle continues to pitch like he did last night, when Alex Wood returns from the IL, would it be prudent to maybe start shopping Tanner Roark early? With there being only 1 trade deadline this year, teams may start looking for other options earlier than before. Mahle and/or Stephenson can cover the 5th spot. That will leave the Reds with Castillo>Gray>Wood>DeSclafani>Mahle with Stephenson ready, waiting in the wings. There are several teams in need of a #3 / #4 type of starter like Roark. What to get in return? A bullpen arm, or a CF/leadoff hitter? I can’t imagine getting a starting CF/lead-off hitter for Roark, but would happily exchange him for this or a useful bullpen arm for the next several seasons. I also am still watching to see if Mahle can develop his alternate offering(s) enough to sustain success as a starter. The Pirates are a pretty easy team to pitch against – only one or two of their 8 yesterday could start for a top 10 team. For teams to outperform their season projections, they *almost* always have to skew results in low scoring, one-run games. I remember a couple years in the previous decade when the Diamondbacks had negative run differential for the year, but won 90+ games. The bats will wake up, but every 1-0 or 2-1 game they lose is just one less opportunity to outperform their true mean, which likely at or slightly below .500. Too bad.